Stripped, sanded and waxed by ourselves creating a pew with rich honey tones that will fit into any design scheme, giving it rustic, timeless elegance. 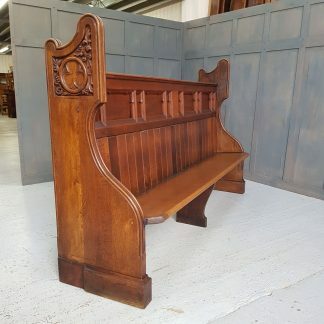 The pictures show an example of this style of Number Seven Antique Stripped and Waxed Country Church Chapel Pew. There could be slight variances, such as wood grain.